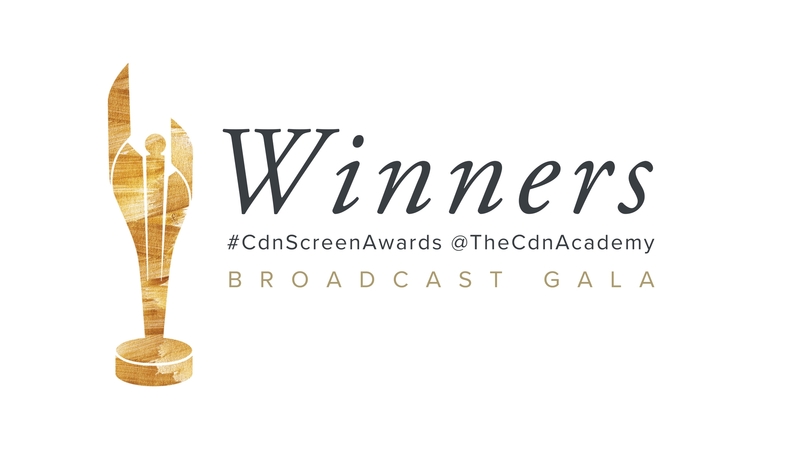 TORONTO, March 11, 2018 /CNW/ – Tonight, the Academy of Canadian Cinema & Television honoured the best in Canadian film and television at the 2018 Canadian Screen Awards live from Toronto’s Sony Centre for the Performing Arts. The awards gala was broadcast live on CBC, with actor-comedians (and proud Canadians) Jonny Harris and Emma Hunter keeping the crowd and Canadians across the country entertained as forty-three (43) awards were presented to Canada’s best screen talent. Photos of the 2018 Canadian Screen Awards Red Carpet can be found here. Photos of the 2018 Canadian Screen Awards Press Room can be found here.